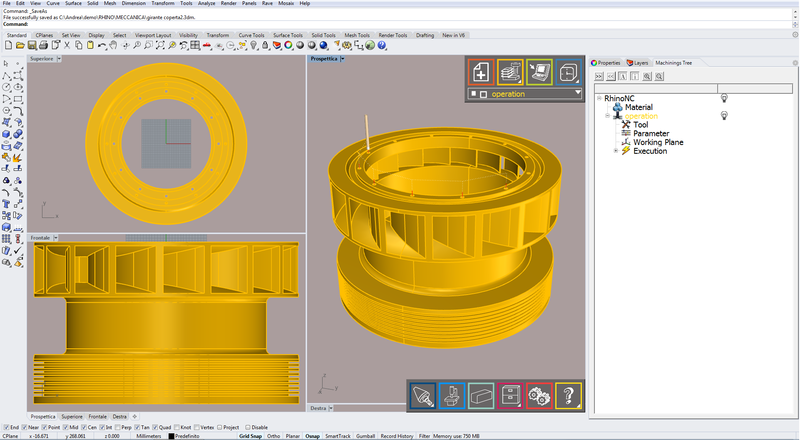 RhinoNC is the most complete CAM solution perfectly integrated into Rhinoceros which can generate continuous toolpaths from 2,5 axis to 5 axis. Due to the different needs of manufacturing companies, the software is designed with the flexibility necessary to respond over time to the growing demand for end-user performance. All companies that currently have simple needs will in the future continue to use RhinoNC, enhancing it from time to time and adding the planned functions or strategies. Find out more about the supported machines, its features or the latest news.